A thin and very flexible polymer lamella with a high aspect ratio should be characterized by Atomic Force Microscopy. 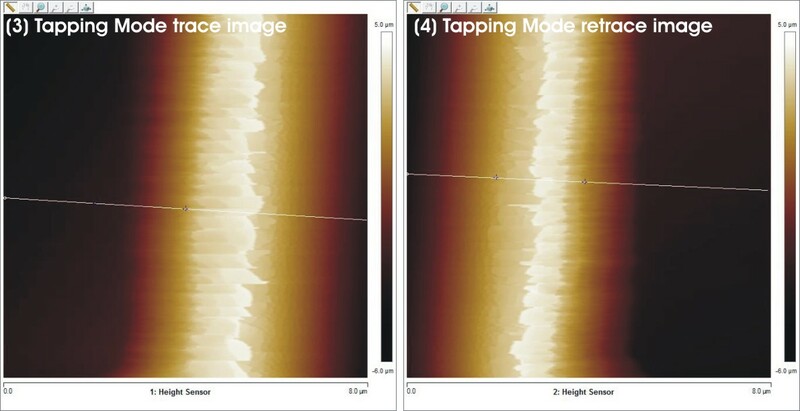 When imaged in Tapping Mode, we can see that the position of the lamella in trace- and retrace-images is shifted (figures 3 and 4). The lamella is dragged by the tip towards the scan direction and slips away (see figure 7). Of course, those images do not represent the true structure of the surface. To avoid this “drag-and-slip” effect the lamella was imaged with a NANOSENSORS™ Heartbeat Cantilever in a low force interaction mode (ScanAsyst®, figures 5 and 6). 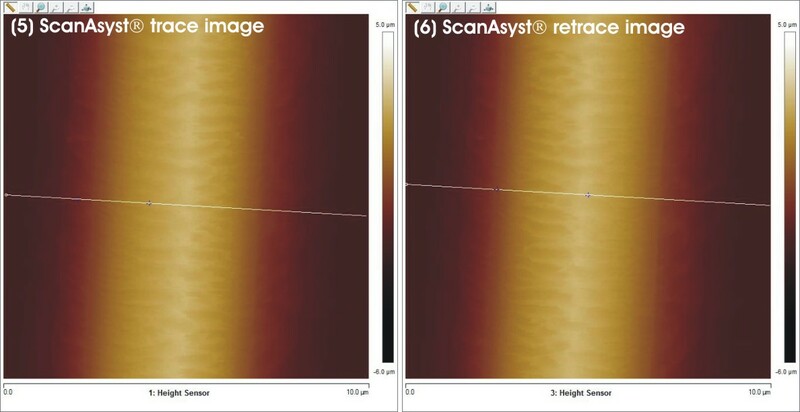 When overlaying cross-sections from trace and retrace of the images it becomes clear that the NANOSENSORS™ Heartbeat Cantilever images are superimposable and depict the sample precisely (figure 8). In this application image we used the small cantilever of the NANOSENSORS™ uniqprobe® BioT to scan in ScanAsyst® mode in air. 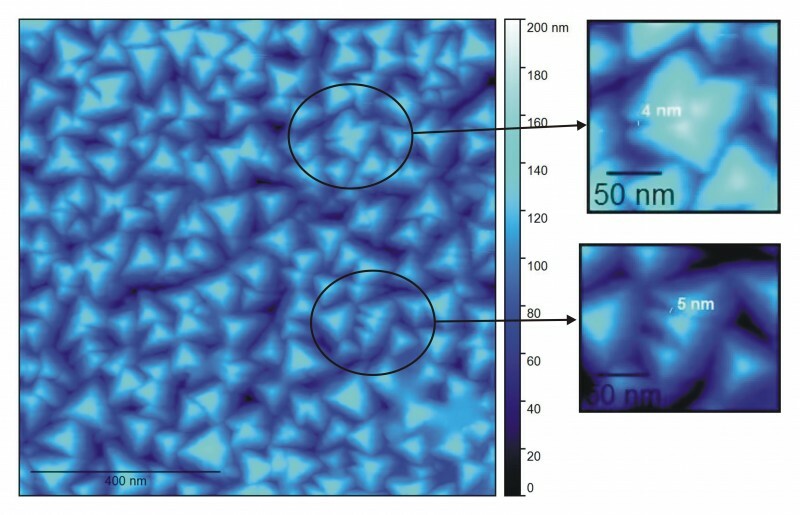 We imaged crystallites with nanometer-sized edge features with a scan size of 1 µm and a speed of 2 µm/s. Even in a that large, micrometer size image of a surface with a distinct topography, feature sizes of 5 nm and below are clearly visible. ScanAsyst® is a registered trademark of Bruker Corp.